Government contracts: Good business | Seminole Tribe of Florida, Inc. The federal government spends nearly $350 billion a year on goods and services, making it the world’s largest consumer. Almost a year ago, the Seminole Tribe of Florida, Inc. (STOFI) Board of Directors made the decision to try to enter the federal government marketplace. We hired Dawn Houle, a Chippewa-Cree from Montana and former Chief of Staff of the National Indian Gaming Commission, who is dedicated and preparing key STOFI businesses for selling to the government. What are the benefits of doing business in this sector? One of the biggest benefits of offering products to the federal government is the set-aside of purchases for disadvantaged businesses, such as minority-owned, Historically Underutilized Business Zone (HUBZone) commerce; service-disabled, veteran-owned small businesses; and woman-owned small businesses. These set-asides provide small businesses an entry into government contracting without competing with larger companies. The targeted businesses that STOFI has identified as the initial products to offer the government are Askar Fuel and OWV water. Selling to the government has tremendous potential but is very complex and time consuming. Before a company is able to offer products to the government, it takes certain certifications: vendor registration/approval, meeting size standards, employee standards and performance standards, to name a few. Currently, STOFI has participated in a bid for fuel with the Coast Guard in Florida. These opportunities are exciting for STOFI and its businesses, and we hope to continue to diversify our revenue streams, offer our premium products to a new market and strengthen our businesses for future generations. Many people are most familiar with 8(a) contracting, which is a business assistance program for small, disadvantaged businesses. This designation is appealing to STOFI and we will continue to explore this opportunity and find ways for our businesses to qualify. For those individual Indian businesses interested in government contracting, there are many resources available to you free of charge. These programs include the Procurement Technical Assistance Centers (PTAC), Minority Business Development Centers (MBDC), local Small Business Administration (SBA) offices and the nonprofit small business organization Service Corps of Retired Executives (SCORE). STOFI has partnered with many of these programs for resources and technical assistance as we have moved forward in this new endeavor. As the new president of STOFI, I’m pleased to see the seeds that I planted for our businesses – from when I was in office before – are coming to fruition. Government contracting is the right boost that STOFI needs for our minority-owned businesses, and the STOFI board and I are excited to see where this leads. 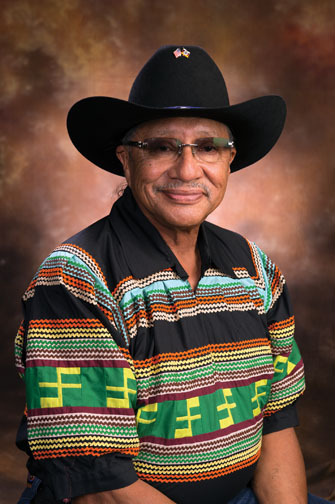 Mitchell Cypress is President of the Seminole Tribe of Florida, Inc.